As the 1080 debate rages, Kapiti Independent correspondent Jeremy Smith gives an impartial and informed view of what’s happening with the 1080 poison. Jeremy says 1080 is a major weapon in the campaign to control rabbits and possums. Farmers and conservationists, who disagree on some issues certainly back this one: 1080 works : it kills the pests. Now a declaration of interest. This writer is a Forest and Birder. He is also the product of a Canterbury high country farming environment which means rabbits from the days when strychnine was the poison de jour. He has personally dispatched possums by hand. He has also used gorse and blackberry sprays like 24D and 245-T (agent orange) and wishes he hadn’t. So he is not keen on poisons. Anti-1080 people also agree that it works but they say it kills much more and is a danger. 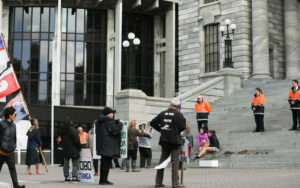 The argument even spilled onto the steps of Parliament when the speaker questioned whether some dead birds delivered as part of a petition had been killed by 1080 or bludgeoned. A West Coast man called Alan Gurden says he was “appalled” that the speaker Trevor Mallard could make such a claim. If Mr Gurden ends up before a Parliamentary committee he may also be appalled by some of the questions he may be asked. 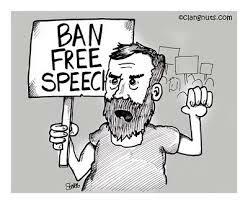 And they may well come from MPs who have no particular stance for or against the use of 1080. It is useful to go back a step and look at 1080 as one of a number of campaigns about using poisons and additives, to food and particularly our water. Among others these include fluoride in public drinking water. The similarities between the anti-fluoride campaign and anti-1080 are clear. The experts say both do what they are supposed to: kill pests or improve dental health. And both applied properly are not a danger, they say. The antis don’t agree with this at all. Missing, to my knowledge from this list is chlorine, one of the deadliest elements there is (as in chlorine gas). Rendered into the appropriate form it is used to chlorinate our public water. Without it millions of people would be dead. The Havelock North water contamination was the wakeup call about fresh water. And Christchurch, which always trumpeted its pure artesian water has been chlorinating. Now the government is considering proposals which may see councils lose their control over water supply and disposal to a national body. The three waters are blue(drinkable) grey (stormwater) and brown( sewage). 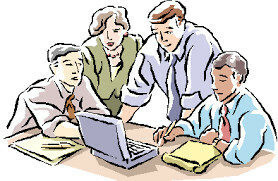 The proposals are related mostly to money: many councils don’t have the money to renew or upgrade their water network. The link to 1080 is where water catchments comes out of the bush covered hills. The munchers-in chief of this bush are possums . So the catchments have to be protected. New Zealand’s economy rests largely on what the Chinese might call The Two Bigs: grass farming and tourism. Here’s the problem: both depend on certain inputs, phosphates and nitrates among others in the farming sector. These green pastures you can drive past on the state highway are entirely man-made. And the run off is affecting our waterways. Tourism may seem better: clean and green ,100 per cent pure. But them-there green hills are under threat folks, possums, mustelidae (ferrets, stoats etc rats and so on) and also deer, pigs, goats, thar and chamois. There are wide-ranging and expensive programmes to control these by culling. Tourists also pay good money to go out and bang away to keep the numbers down. It helps but not enough. The case for 1080 has not always been helped in the past by a ‘Fred-Dagg kick-her –in-the- guts -Trev’ approach to application. Undoubtedly 1080’s demise will come. It will be superseded by a number of other controls. They may include genetic modification: Green Party supporters better put their fingers over the eyes here. These are the tough decisions we face and argue about. And a final note. Some anti-1080 campaigners have made personal threats against employees of the Department of Conservation. These are people employed by me and you to carry out government policies. 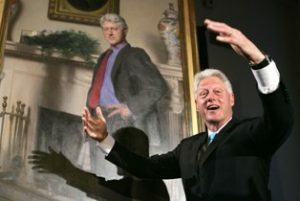 I suggest that any extra-legal action would deeply discredit the 1080 campaign. Thanks, Jeremy, for a sensible statement on 1080. I only just caught up with it when I saw it quoted on a far-out anti-1080 page. Marty Foote, I know contract possum trappers can get possums down to 2% RTC. But you don’t trap rats, stoats, weasels, ferrets and feral cats as well, do you? 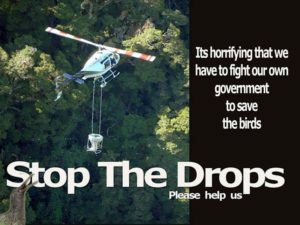 And how many trappers would it take to remove all those species from 30,000 hectares of the Southern Tararuas, in the course of a couple of weeks, in time for the beginning of the breeding season? Tony Orman “Ecosystems and food chains are the same everywhere in the world” – well you aren’t an ecologist, are you? NZ has no native mammals except two species of bat. That makes our ecosystem unique in the world, it makes out native species uniquely vulnerable to the mammalian predators, and it makes the mammalian predators uniquely vulnerable to 1080 – 20 times more vulnerable than our birds, for example. Kathryn, you are talking about the Material Safety Data Sheet for 1080. But if you search for the MSDS for 1080 bait, you will not find what you are claiming here. 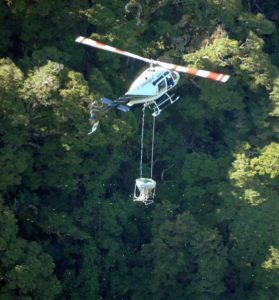 “Not working” after 40-50 years – 1080 has been used as a pest control over small percentages of NZ’s forest area. It has enable TBFree to reduce the number of TB herds from 1700 in the early 1990s to 49 now. It has prevented any more extinctions of native birds since the 1960s, and for some species it has allowed their numbers to increase, e.g. kokako: 10-fold since the 1980s. John Vesey, what you need to know about 1080 is that there isn’t any 1080 in the water. 1080 has never been detected in water testing of a reticulated supply. People who are worried about 1080 should simply refrain from going into the bush after a 1080 drop and eating the baits. If you can avoid doing that, you will have no exposure to 1080. You have totally missed the point in your comparison with 1080 and chlorine/fluoride, in that, 1080 has not been killing possums and rats in the numbers claimed and there is a proven alternative, with output contract trappers having consistently outperformed 1080 for at least 30 years. You have to ask the question: Why is DOC and OSPRI fighting so hard to deny output contract trappers the opportunity to competitively tender for the work earmarked for aerial 1080? Could the answer be: DOC and OSPRI know that output contract trappers will outperform aerial 1080. Why then is NZ – just the size of one USA state – using over 90% of the world’s 1080? Ecosystems and food chains are the same everywhere in the world–NZ is no different. Just an example of the stupidity and shortsightedness of the obsession with ecosystem poisons like 1080. Landcare Research studies have shown that within 4 years of a 1080 aerial drop, surviving rats explode in numbers to 3 o 4 times their previous numbers. 1080 stimulates massive rises in trident numbers. What is often not realised is 1080 was developed in 1920s as an insecticide. It was found to have a by-kill of anything that ingests it whether birds or animals. It is destroying insects and invertebrates vital to soil and forest health, vital to insectivorous birds as food. A significant point is the writer of the article is a member of Forest and Bird Society who have obsessive ideological policies. I was once a member for several years but resigned because I could not support unrealistic destructive ideological agendas. The thing is, if you read the literature that comes with 1080 it specifically warns against using it in the manner that DOC do. Every air drop violates every safety concern stated in the literature. What is being done is dangerous, cruel and it is NOT working. After 40 or 50 years we’d expect to see some improvement in the state of wildlife. The opposite is the case, and native wildlife is only really flourishing in places where that stuff has not been dropped.